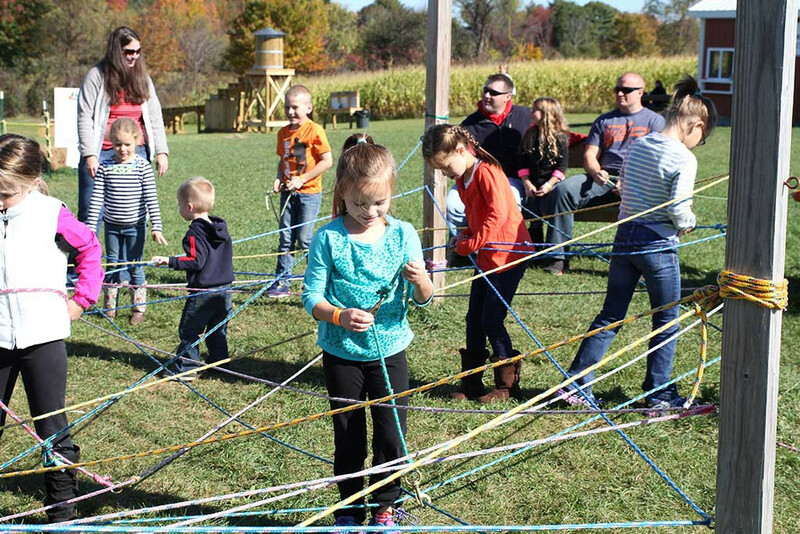 We now have three kiddie corn mazes made especially for young ones! 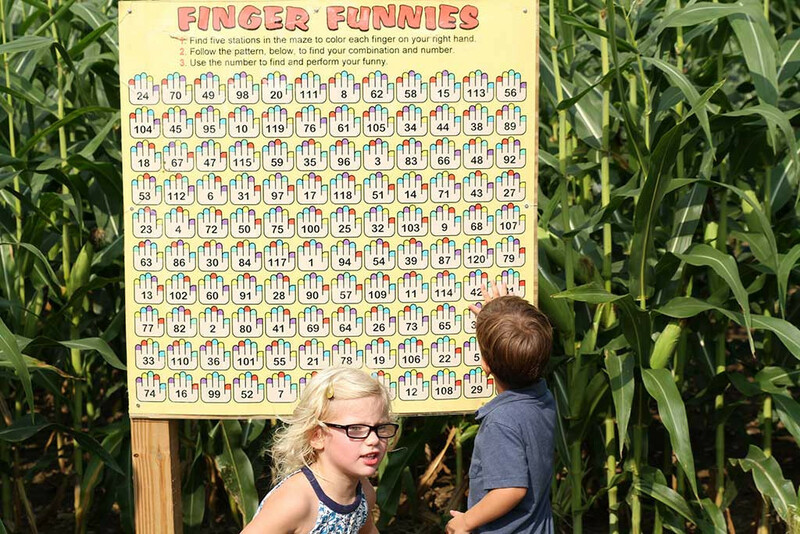 The interactive Finger Find Maze is fun for all ages. At the end your fingers tell you what to do. Come see what this is all about! 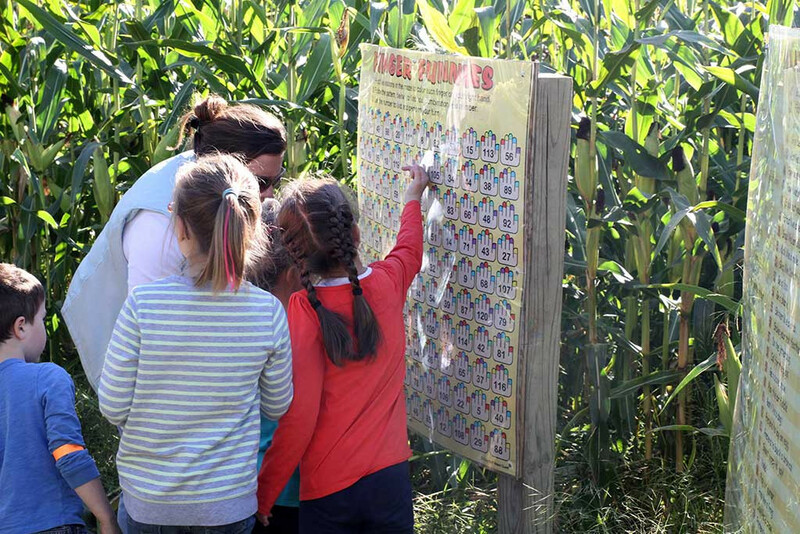 NEW this year is a Storybook Maze featuring “Jack and the Cornstalk” where each sequential stop has the next page in this story with colorful, easy to read pages-a great redo of a familiar fairy tale with a farm theme! The 1-2-3 Maze, near the Magic Maze slide, challenges you to start at “1” and end at “10” following special guidelines — quick and fun! The Color Maze gives you a chance to follow a color sequence and come out on the other side – orange, yellow, green, orange, yellow, green! 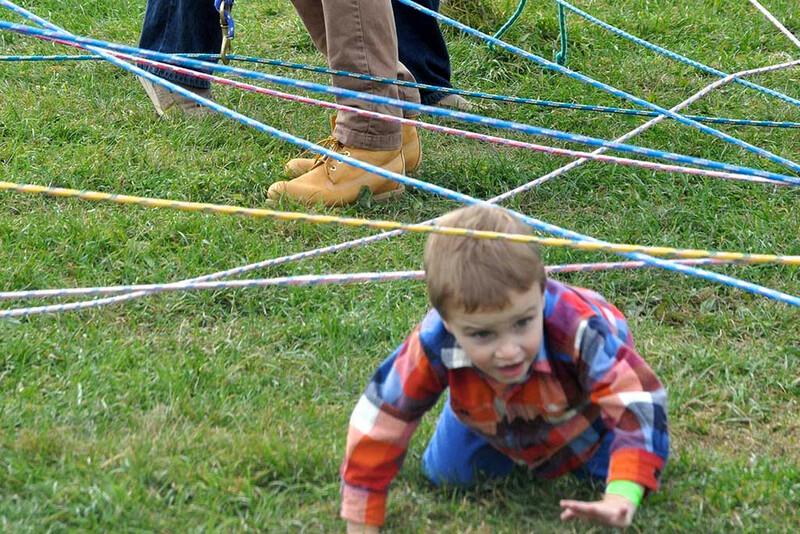 Our Rope Maze provides a unique opportunity for up to 4 teams in a relay format OR fun for just one person. Each person winds through a given color path by going over, under, and around other paths and people—a great activity for the agile individual!!! 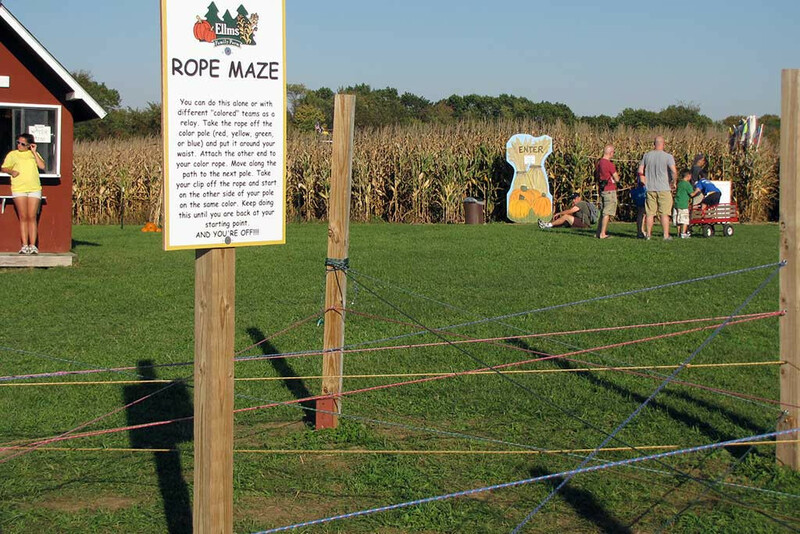 The No Left Turn Maze requires only right turns through the paths of hay bales. It might mean circling around but it CAN be done! How pretty the Hedge Maze is! 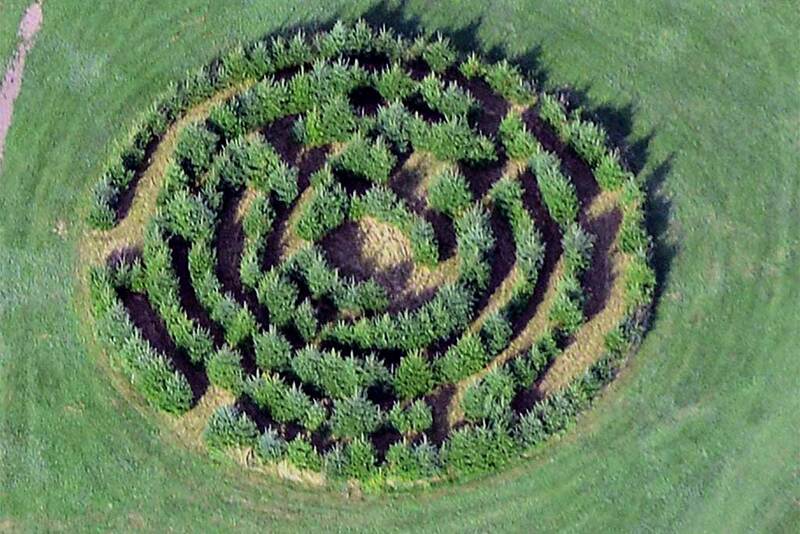 Relax as you stroll through a labyrinth of fir trees. Make your way into the center where you’ll find a new path out of the Hedge Maze—a chance to get lost, but only in thought!